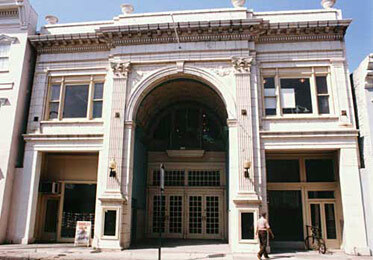 CHARLESTON, SC — The Garden Theater, located at 371 King Street, is in immediate danger of being lost. Designed by architect, C.K. Howell, the Garden opened in 1918. Silent films gave way to sound in 1929 when the Garden began a policy of showing only films made in the Vitaphone process. When nearby Victory Theater was demolished in 1946, the Garden began a combination of films and live stage shows. In the 1960’s the Garden was used by numerous community organizations. For a while it was home to the Charleston Opera Company. Until recently, the Garden was one venue for performances of Spoleto Festival USA. Pastime Amusement Company put the theater up for sale last year. It now appears that the building will become home to a national retail chain. Discussions with civic leaders and local preservationists have not been encouraging. A small group of interested people here in Charleston are making an eleventh hour attempt to raise awareness and support for preserving the Garden Theater. Of the twenty or so movie theaters that have operated in downtown Charleston, only four remain. Only the Garden Theater remains substantially unchanged… for now.